Based on 3528 customer ratings. 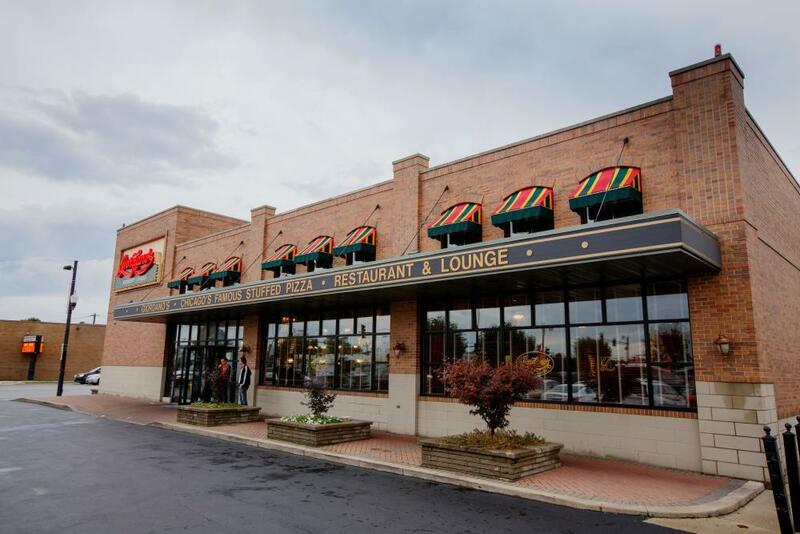 Chicago natives know Giordano’s as a cherished tradition. Now you can experience our heritage for yourself when you visit our dining room with a full bar. You can also order over the phone for pickup or delivery! For over 40 years, Giordano’s has crafted the best deep dish pizza in the Chicago area. Now you can bring the mouthwatering taste of the Windy City home from our Midway location! Giordano’s is more than the best pizza place in Midway — we create an experience that pizza lovers have cherished for generations. Our artisans handcraft every pie to our old-world specifications, which means you’ll go to pizza heaven with every bite. Superior Craftsmanship Leads to a Favorite Chicago Tradition When you eat with us, you’ll enjoy the flakiest double crust that we slow bake to perfection. You’ll try the freshest mozzarella made from a small farm in Wisconsin. And you’ll embrace the ripest tomatoes, the freshest vegetables and the most flavorful meats. Our carefully trained artisans handcraft every stuffed pie with loving care — and that’s why Giordano’s is the best pizza delivery and restaurant in Midway! Our mouthwatering stuffed pizza pies are famous across the country, but don’t forget to check out our full menu. You’ll love our savory pastas and fresh salads, and you’ll find that our specialty sandwiches and appetizers are absolutely delicious. Going gluten-free? Ask about the selections that are right for you!